A unique square shaped umbrella with smooth opening and fibreglass ribs/shaft. 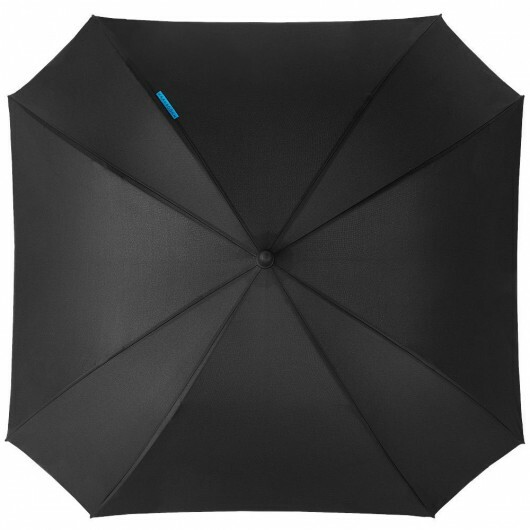 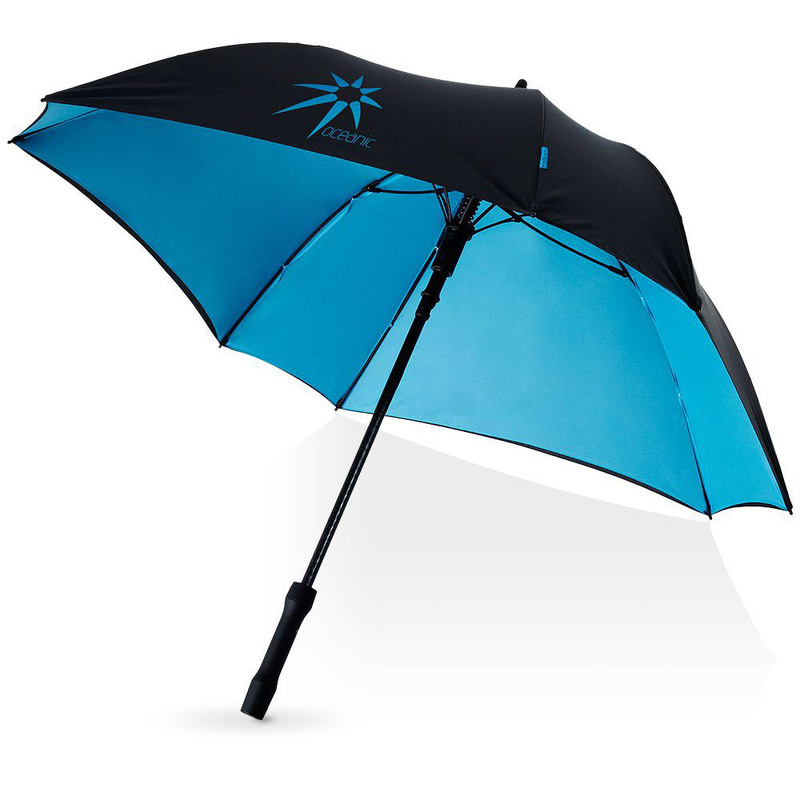 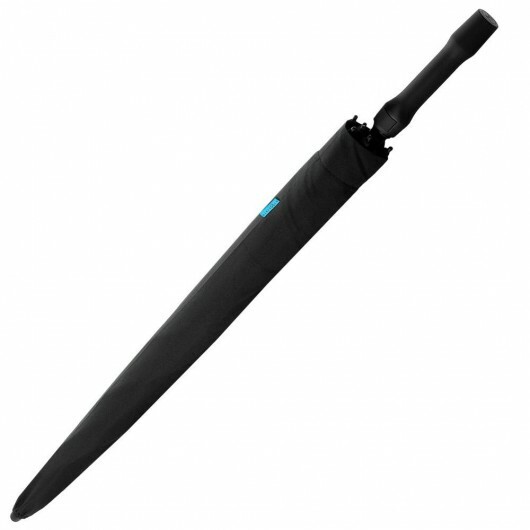 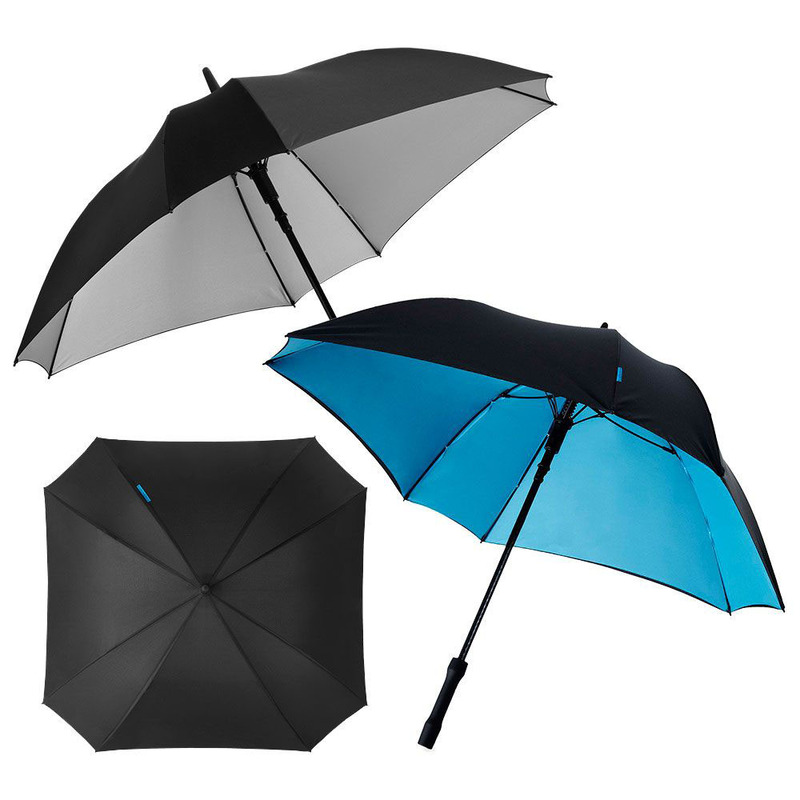 An exclusive release from Marksman - these umbrellas are available in black with silver or light blue contrast. 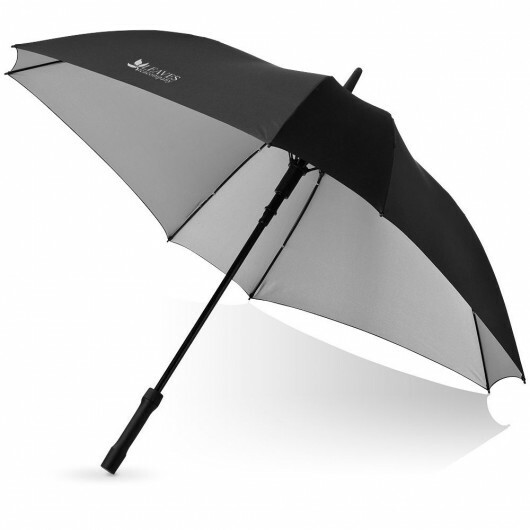 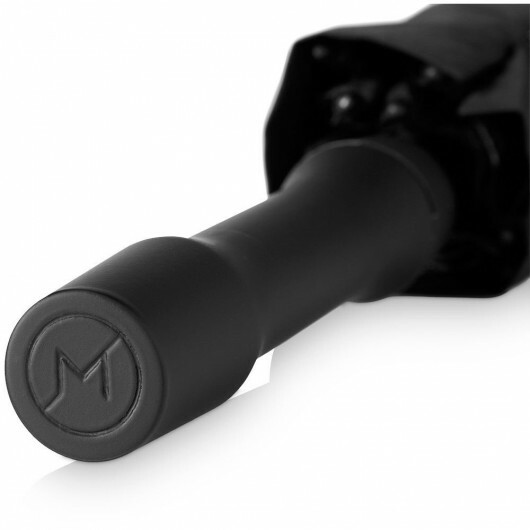 They have smooth automatic opening, fibreglass ribs and shaft as well as a comfortable grip with an emboss of the Marksman M. When not in use the umbrella can be packed into the non-woven Marksman gift pouch that is included.